an elegant and refined affair, with romantic touches and personalized details. 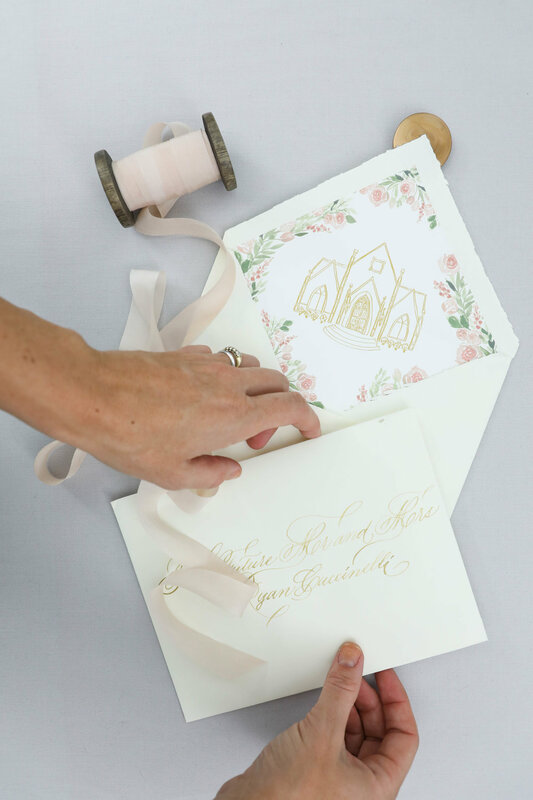 We lined the envelopes with custom liners featuring an illustration of the chapel the couple would be married in. 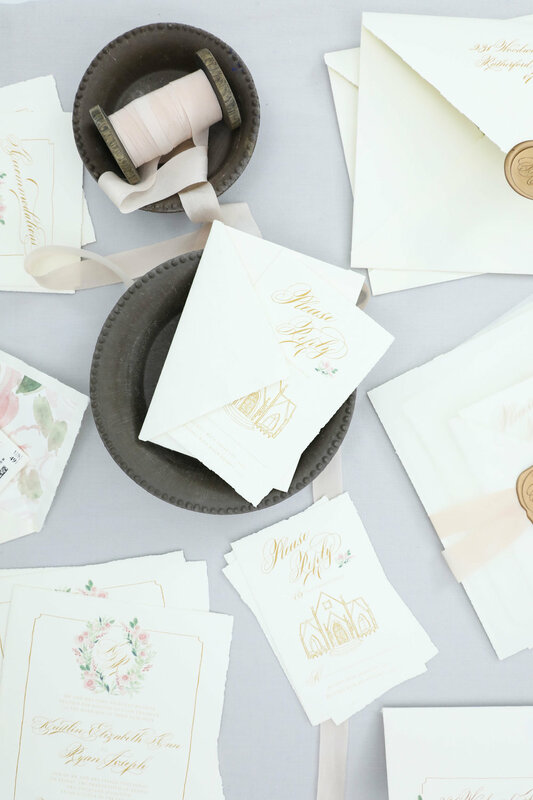 Each envelope was sealed with a custom wax seal with the bride and groom's new combined monogram in gold wax.